Delight in giving and receiving our gorgeous holiday truffle boxes featuring our favorite flavors in eye-catching keepsake boxes just in time for holiday celebrations. Our hand and freshly made chocolate truffles are the most delectable and exquisite confections are made by our gifted Master Chocolatier, Chef Christophe Toury. Boxes of assorted Chocolates are available in a variety of sizes for everyone on your list. Choose from 5-piece, 8-piece, 9-piece, 16-piece, 18-piece and even 36-piece boxes. Inside you'll find flavors like peanut butter pop-rocks, coffee, praline, crème brûlée, raspberry, basil yuzu, marc de champagne, chai and caramel fleur de sel. Our holiday truffle gift boxes are simply the most delicious and easiest way to treat the loved ones on your list. They are also the perfect corporate gift! Show your clients you appreciate their business through hand-crafted chocolates. Place our order by December 12 for guaranteed delivery or pick-up at our store and pop-ups before December 24. For Special orders please contact: info@voila-chocolat.com. 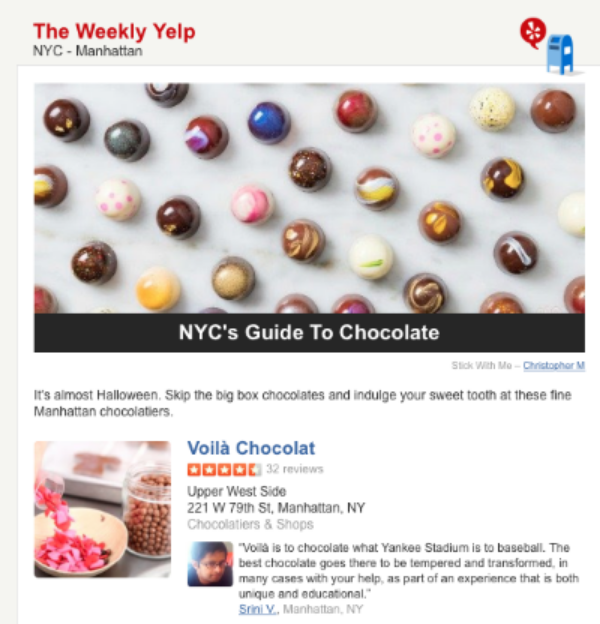 Share the Voilà Chocolat holiday spirit by forwarding this email and liking us on Facebook. Wishing you and yours a lot of chocolate happiness this holiday season! Thanksgiving is sneaking up on us. Will you have family in town? They'll want a taste of the Big Apple and our gourmet chocolates are the tastiest in the entire city. 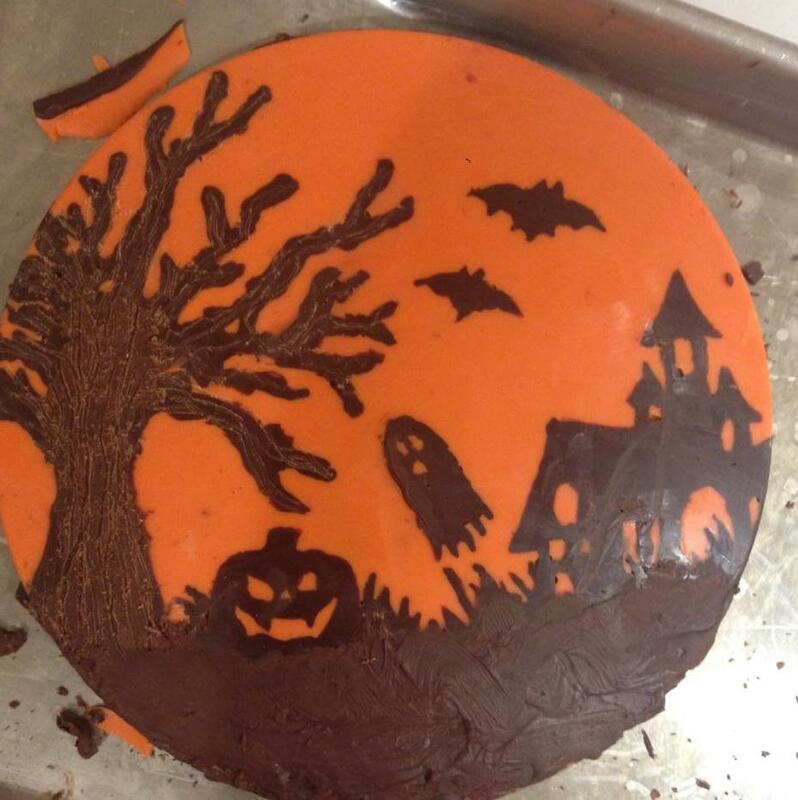 We'll show you and your whole family how to make your own chocolates - you'll even take some home. Plan a Thanksgiving chocolate-making outing at any time during our business hours. Feel free to drop in or if you have lots of people in your group, consider making a reservation to avoid disappointment. Would you rather we come to you? Our mobile truffle-making station is a party on the go. We'll bring the party to you. Simply fill out our handy form by following the group link below. Chocolate lover, you are invited to share your opinion on the most delicious of subjects, chocolate! The Fine Chocolate Industry Association (FCIA) is holding a 1.5 hour focus group to see how you think and feel about chocolate. Space is limited, so sign up today! Refreshments and chocolate treats will be served. Space is limited to the first 20 to sign up. 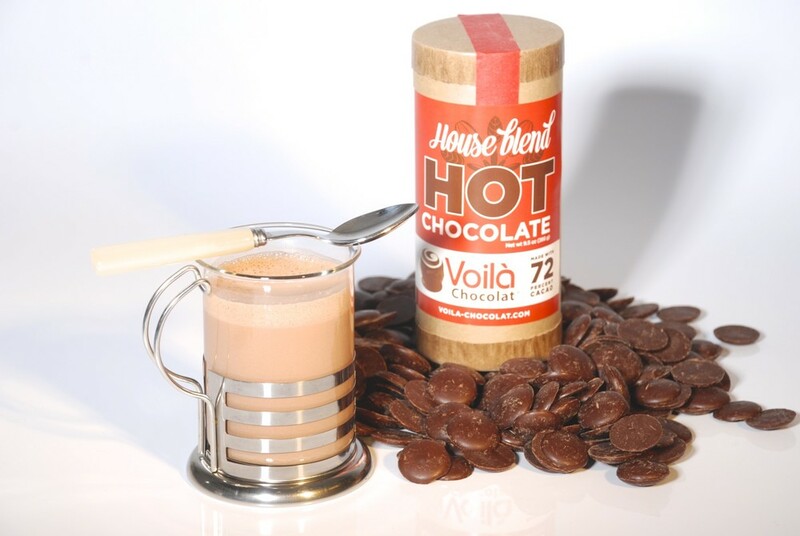 Voila Chocolat works with ingredients that naturally have a short shelf life for the quality and purity. Our recipes consist of using fresh cream, milk, puree, and the most natural of ingredients as often as possible. When you taste our treats, you'll notice it's reflected in the taste and the texture. Everything citrusy brings ultimate freshness and is a great way of cleaning your palate after a meal. Yuzu is on of Chef Toury's favorite citrus fruits. Yuzu is a Japanese citrus about the size of a small grapefruit with an intensely aromatic, flowery and unique lemony flavor. In order to make a more unique and one-of-a-kind flavor for his truffles, Chef Toury combines it with fresh basil. Basil has a spicy yet sweet pungent smell and the leaves may taste somewhat like anise. The fragrant sweetness of the basil balances out the darkness of the chocolate beautifully and the herbal earthiness blends with the very aromatic sour flavor seamlessly. The basil is a surprisingly pleasant unexpected flavor, and, unlike traditional mint, it doesn’t overpower and completely take over the truffle. Intrigued? Come by and taste one or several for yourself. Better yet, we'll package up several and send you home with them to share. Just in time for Autumn, we've created an experience that combines the best of cool weather camping with the joy of premium chocolate! The experience will feature premium flavored marshmallows including strawberry, concord grape and daredevil - it's your choice. To place between delicious graham crackers, you'll be melting the best quality chocolate ever to be used in a s'more - premium Voila Chocolat chocolate. Your s'mores roasting will take place in a safe environment; your safety is our first priority. We also love our earth, so we only use biodegradable Sterno gel. Please call (212) 920-8799 for reservations, pricing and more info. See you soon! 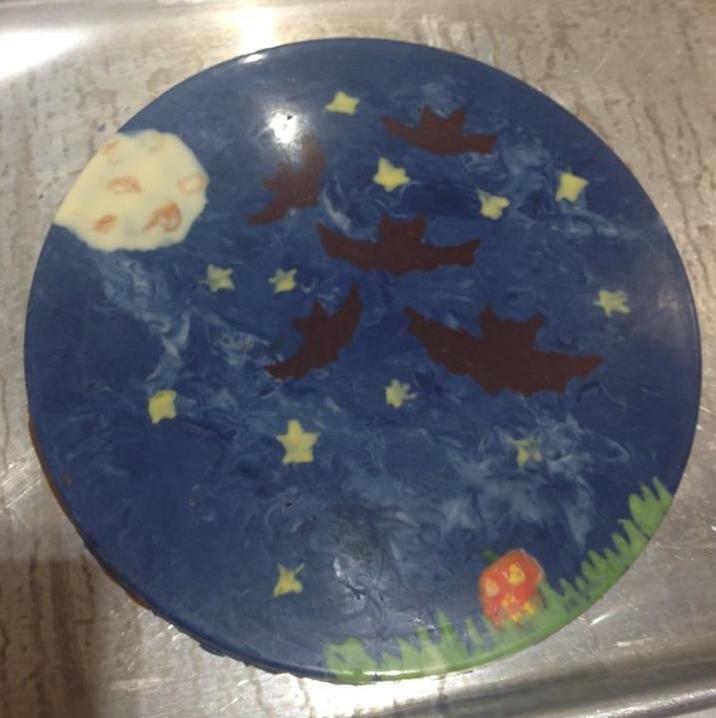 When you make your own chocolates at Voilà Chocolat, you get to be as creative as you want. Our guests reflect their personal passions in their chocolates by creating chocolate masterpieces inspired by their favorite pastimes. Recently, lots of people have gotten into... Pokémon Go. Great news for trainers who love chocolate: Our shop is a Pokémon Go Gym, a real-life destination where players ("trainers," as they're called) gather to fight and train Pokémon monsters to win prestige for their team. Watching all the hot, tired trainers standing just outside our shop, squinting at their screens in the bright sunlight and watching their phones' batteries drain down gave us an idea. We've turned Voilà Chocolat and its Pokémon gym into a real-life oasis for the augmented reality game. In addition to finding cool air conditioning and the perfect spot in which to fight and train Pokémon out of the sun's glare, trainers will find a Pokémon-dedicated power strip with which to "POWER-UP" their phones, plus refreshments with which to power up themselves to fuel their Pokémon trek. Through September 5th, we're offering 10% off all refreshments, chocolates, and chocolate-making classes to anyone who shows their Pokémon GO screen. (Alternatively, you can check in with a Facebook update, Instagram post, or tweet to redeem this offer). We're fans of any activity or idea that gets groups of friends out of the house and having fun experiences together - making chocolates OR catching monsters! Like true love, sometimes the things you're wishing for happen when you aren't looking. After an eternity (it seemed), a creative, chocolate-loving, aspiring groom arrived on the scene. An event producer, Rob, was looking for a place to propose to his girlfriend, Stacey. He realized right away that Voila Chocolat is simply one of the absolute best places to propose in NYC. The couple loved sweets ("Too much!" Rob and Stacey later said) and Rob was intrigued by Voilà Chocolat's setting and original concept, and interested to learn how we could customize chocolate to suit his proposal vision. Founding team member and event sales contact, Elaine Boxer, was ecstatic at the chance to help Rob surprise Stacey with a truly personal, memorable proposal that she'd be telling her friends and family about for years to come. "With this request, you're making me the second happiest woman in the world!" Elaine confessed to Rob. Now all that was left was to set the stage and discuss proposal ideas. At first, they discussed bringing Stacey to make chocolates, ending the experience with a surprise ring box made out of fine chocolate presented by Rob. Chef Christophe Toury had made many chocolate ring boxes over his long career -- large and small, simple and elaborate. However, Rob decided he would rather pull the ring box out of his pocket -- and a hard-sided velvet box is better suited to one's pocket than fine couverture that melts at body temperature. Elaine then suggested the ways in which the chocolates themselves could be personalized. Perhaps, they could plan a switcheroo -- Rob and Stacey could come in to Voilà Chocolat to make chocolates together, and at the moment their creations were supposed to be returned from the cooling station, a chocolatier could bring a pre-made tray with a very special message, prompting Rob to drop to one knee. Rob liked the drama of that idea, so he ordered a custom tray of pre-made truffles topped with molded chocolate letters spelling "WILL YOU MARRY ME?" To personalize the moment even more, he ordered an extra truffle topped with a plaquette that said "I love you," and a small photo chocolate bar imprinted with Stacey's family's favorite photo of the pair -- a fun selfie of them outdoors, sharing a kiss. Rob and Stacey also had been following and joking about the #RunningManChallenge meme that had been taking over the internet. To integrate this part of their relationship into the proposal, Rob captured the whole proposal on video without Stacey suspecting. The new plan: while their chocolates were cooling, Rob would have partner-in-crime, Elaine, subtly cue up the Running Man Challenge song, "My Boo," by Ghost Town DJs, on Voilà Chocolat's sound system as if by coincidence. He and Stacey would get up to dance to it (naturally) and ask a staff member to video it (Elaine!) and the stage would be set for the big moment. Rob didn't look nervous as the moment approached, but we admit that we were. Rob had commented during the planning phase, "I'm an event producer. I have to pay attention to details." We knew we had one chance to time and present everything just right, for a very discerning critic! The proposal went off perfectly. Stacey was ready to dance the moment the song came on. The shock on her face was sweet and genuine when chocolatier and manager on duty, Yolanda, brought out the tray of truffles and Rob knelt down with the ring. And of course, Stacey said YES! She later admitted she had suspected nothing, and hadn't even spotted the second video camera that Elaine had hidden on one of the store's shelves. As the newly-engaged couple boxed up their truffles to take to dinner with family, both Rob and Stacey simply couldn’t stop smiling. Rob and Stacey, we want an invitation to your wedding! We'll bring the chocolates. Elaine is ready to facilitate more chocolate-themed marriage proposals, bringing to life whatever vision the next lucky person has in mind. Is someone you know looking for the best places to propose in NYC? Look no further. The ring-in-a-chocolate-box idea still hasn't been taken and all sorts of personal messages can be custom-imprinted on chocolate bark, chocolate bars and lollipops. An especially trusting groom could have Chef Christophe enclose the ring in a molded hollow chocolate, like a puffy heart or the would-be bride's favorite animal -- breaking open the chocolate to reveal the best surprise prize-in-a-dessert ever. The ring itself could be served atop a chocolate truffle, or at the bottom of one of our glasses of Prosecco. The possibilities can be almost as unique and as lovely as the bride! With over 20 years' experience in marketing strategy and brand development, Elaine loves working with event planners, company HR and marketing staff, and grooms like Rob to create interactive chocolate-themed events and plans that capture the true essence of the host and of the moment. To plan your own special event or chocolate-themed marriage proposal in New York City, contact Elaine to have a conversation about your needs and plans: eboxer@gmail.com. On Wed. Nov. 25, come see the Thanksgiving Day Parade balloons getting inflated at 79th Street & Columbus Avenue, 3pm-10pm. We are located between the 79th Street 1 train station and the balloons, and we'll be serving fresh handmade hot chocolate from a pop-up sidewalk stand! You'll miss half of the balloons! As you emerge in the middle of everything, police barricades will force you to go in only one direction. Instead, take the 1 train to 79th Street, walk east 2 blocks and enter at the beginning, at 79th & Columbus. Balloon-viewing will take 45 minutes to 2 hours, depending on when you arrive. There are no refreshments there. Get a fortifying hot chocolate right outside our shop (north side of 79th St., near Broadway) to stay warm and nourished as you shuffle around the balloons loop. You can also step inside our shop for a hot tea or coffee to go, snackable fine chocolates (such as chocolate-covered pretzels), baked goods, bottled water, iced teas, lemonades, and apple juice. To meet friends, or to plan in case you get separated, use our shop as your rallying point. Our address is 221 West 79th Street, near Broadway. The shop will be warm, safe, well-lit, and open until 10pm. It also will be full of chocolates, fresh hot coffee, baked goods, hot chocolate, wine, beer, prosecco, and fun activities for all ages. At Voilà Chocolat, every day is chocolate day. But today, it really is Chocolate Day, for the rest of the nation too! 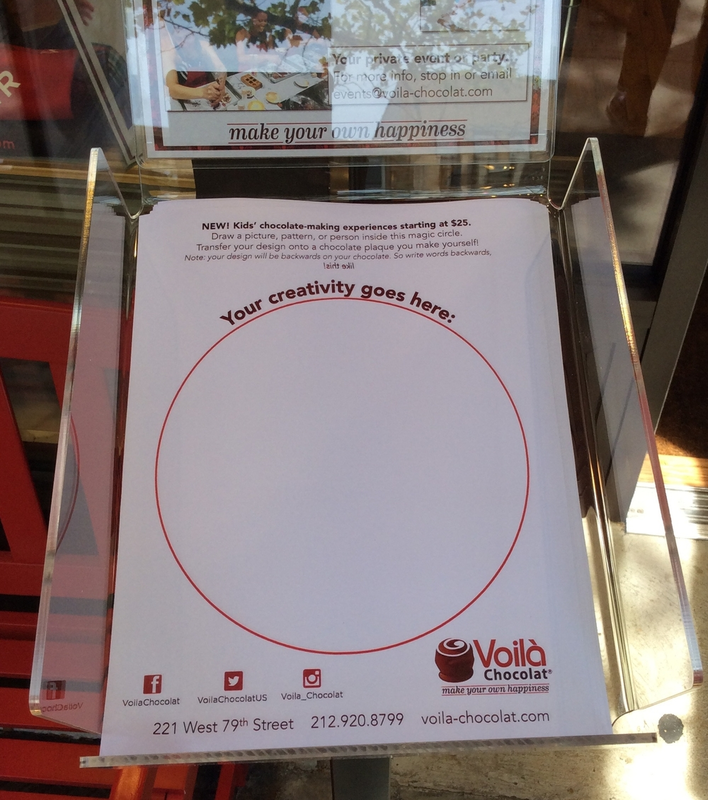 Visit Voilà Chocolat today on West 79th Street -- the only drop-in, 7-days-a-week fine chocolatiering destination in the whole nation (that we know of) -- and celebrate with some fun and incredibly good chocolates. We hope you'll stay and learn how to make your own fine chocolates. You can master any of our 9 chocolatiering projects today, with or without a reservation. See what a few publications around the city have to say about Voilà Chocolat on this, the sweetest (and healthiest, we maintain) day of the year! It was thanks to Christopher Columbus that Europeans first set eyes on the seed of the chocolate tree. On August 15, 1502, the first European encounter with cacao took place when Columbus, on his fourth voyage, came across a great Maya trading canoe with cacao beans amongst its cargo. they had many of those almonds [sic] which in [Mexico] are used for money. They seemed to hold these almonds at great price; for I observed that whenever any of these almonds fell, they all stooped to pick it up as if an eye had fallen. Referring, of course, to cacao seeds. Christopher Columbus never tasted chocolate. Four years later he died in Spain. What happened to cacao next? When did it finally become the chocolate we know and love today? To find out more, subscribe to this blog. Or, if you can't wait for the answer, we recommend you read The True History of Chocolate by Sophie D. Coe, and Michael D. Coe. You can find copies for purchase in our shop at 221 West 79th St., or online at Amazon. The 1502 encounter happened at the Caribbean island of Guanaja, off the coast of modern day Honduras. Coe, Sophie D., and Michael D. Coe. "Encounter and Transformation." The True History of Chocolate. New York: Thames and Hudson, 1996. N. pag. Print. Voilà Chocolat would also like to recognize October 12, 2015 as Indigenous People's Day. Voilà Chocolat is hosting FREE kids' chocolate education events (RSVP required), to celebrate our new just-for-kids chocolatiering experiences. Date/Time: 4pm-4:30pm (for kids 6 and under) and 4:30-5pm (for kids 7 and older) every Wednesday through October 21. Discover what makes dark chocolate different from milk chocolate, and what is "white chocolate," really? Start off on a lifetime of more informed, finer chocolate appreciation! Space is limited. Please register using the buttons below. Please notify us of any allergies. Voilà Chocolat is not an allergen-free facility. Parents: you are welcome to listen in on the kids' session, or to relax in our café. We have treats baked fresh daily, great espresso drinks and cold brew coffee, and wine, beer, champagne and prosecco. *About allergies: Voilà Chocolat is not a nut-free or allergen-free facility. Peanuts, tree nuts, soy, wheat, and dairy are present. We can take steps to limit exposure, but we cannot guarantee against cross-contamination of trace amounts of these ingredients. Voilà Chocolat is handicapped accessible. As the evenings begin to cool and New Yorkers' thoughts turn to fall...our unique and delicious hot chocolate varieties have returned! 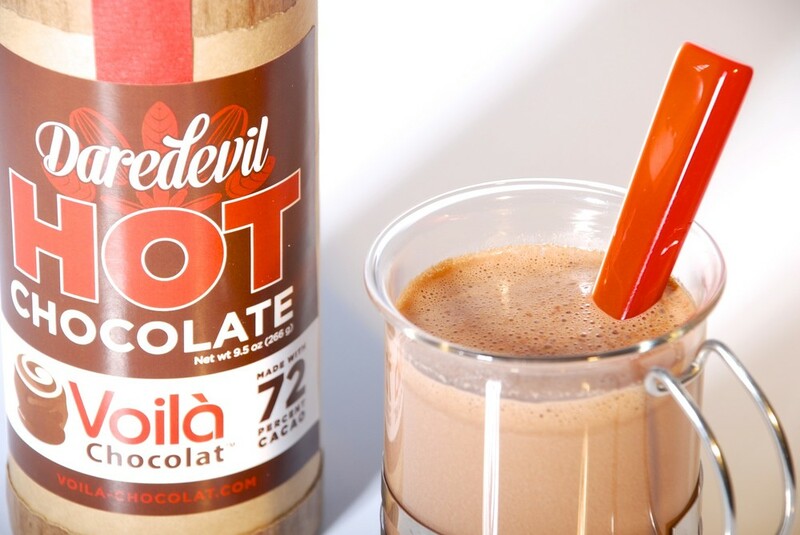 We make our hot chocolate mixes by hand in our Upper West Side store, using either 72% cacao dark chocolate or 31% white chocolate and adding the best ingredients, with no added sugar. With just a touch of sweetness, the purer qualities of the fine chocolate come through. Classic dark House Blend, Daredevil spiced, Banana, and our amazing Matcha Green Tea WHITE HOT chocolate, reviewed by Zagat and NewYork.com last January, and now in Cosmopolitan Magazine's Oct 2015 issue (see below). Our hot chocolates are not only delicious and toasty in our store, but are available as mixes to take home, in eco-friendly containers that make a pretty gift. LIVE IT UP! - COZY UP! #NationalWhiteChocolateDay? But, wait: is white chocolate any good? Is it really chocolate? Find out: stop by Voilà Chocolat today -- 221 West 79th St. at Broadway -- for a FREE taste of 31% cacao Crème Francais white chocolate from the Guittard Chocolate Company. And scroll below to learn more about this misunderstood confection. White chocolate suffered an identity crisis in this country until the FDA officially defined it in 2002. Well before that, until 1993, manufacturers were not permitted to call it chocolate, and were forced instead to refer to white chocolate as "cocoa butter confectionary." Even now, debate persists about whether white chocolate has a place in fine chocolatiering or on the palates of discerning chocolate lovers. As with any complex subject, there are pros and cons. But our answer is: yes, it does have an important place. In white chocolate, cocoa solids are replaced with milk solids, so it's missing the complex, beautiful flavors and healthy flavonols that we love in a piece of good dark chocolate. And unfortunately, much of the "white chocolate" available for sale contains cheaper, replacement fats other than cocoa butter, plus inferior quality milk solids and a heaping dose of sugar. On the other hand, high-quality white chocolate made with 100% real cocoa butter from quality beans, does impart a pleasing mild flavor and melts in your mouth in a particularly satisfying way. All chocolatiers know that white chocolate shows some colors and patterns better than milk or dark chocolate. But we also really like the way that white chocolate can deliver certain flavors in confections. For example, our matcha green tea confections -- from green tea chocolate bars to matcha green tea white hot chocolate -- work perfectly with the subtler characteristics of white chocolate to carry the delicate green tea flavor and the exciting green color. So our advice, which really applies to all chocolate: when consuming white chocolate, make sure you choose very good white chocolate. Look for pure, high-quality cocoa butter, without cocoa butter substitutes or an excessive amount of sugar. And expect that as with many products that are higher quality, good white chocolate will cost more than lower quality mass-produced versions. This is because the ingredients cost more, including not only the cocoa butter itself but also the milk powder that is added. In our confections and in our guests' chocolatiering experiences at Voilà Chocolat, we use a very high quality white chocolate that is 31% cocoa butter, which is an even higher percentage of cacao than off-the-shelf milk chocolate often contains. Is it "as good" as dark chocolate? In many ways, we feel that it simply never can be. But is white chocolate ok in moderate quantities and if it's very good quality? Yes!